There are loads of free website solutions out there. Also, believe it or not, as a web design and web design services in India we have no difficulty with this. Most of the businesses might be just initiating, or perhaps they are streamlining, and money is constricted. We find that. We are much pretty sure that they have a presence than nothing at all. Walking stones are from time to time required. However, we don’t contemplate this is a reason for the poor design. Design still and matters a lot. The web, for the most part, is a tremendous visual experience (factor in mobile, and the visual matters yet more). Users tend to improve their initial level of faith-based on apparent features, i.e., design. Also, how they use the site is very much determined by how it is organized visually and how excellently the information is accessible. 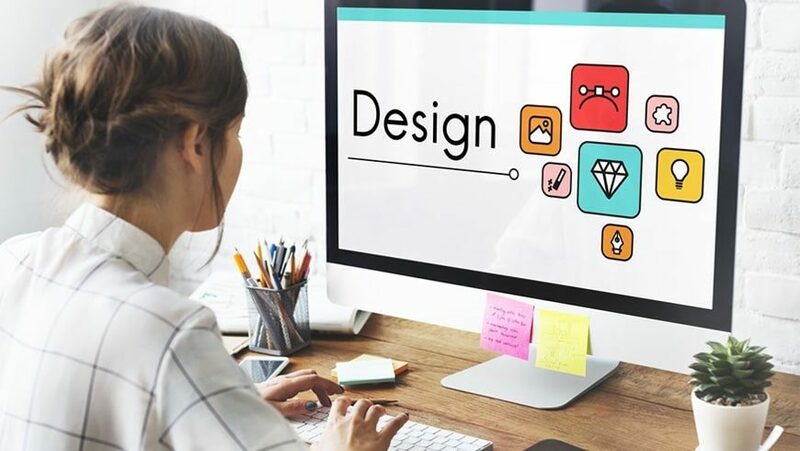 With an augmented need to work from home and better home-based technologies being reasonable and available to the markets, the web design industry is rising by leaps and bounds. Annually development within this industry for the last five years has been at 2.7% each year, concluding in an overall global impact of $20 billion. As per a 2018 industry survey by Econsultancy and Adobe, 85% of respondents consider that design-driven businesses are outclassing their competitors. 73% of companies are spending on design to distinguish their brand from others. No matter what’s your business type, it would help if you had a visually appealing website to influence your consumers. Let’s know why web design matters more than website content after all. Have you ever considered that what web design means and what content means for a website showing on the different devices using the Internet? As a physical store in the real world, the website is a channel for your business in the world of the web or practical world. The name of the website is similar to the name of the business or brick store. The heading is like a billboard or main board positioned at the entry of the brick-and-mortar shop. Website menu is kept on the titles located in each section of the brick store where different sorts of products showcased in cupboards or services accessible. The homepage of the website is similar to the entry hall of a big store/mall where an example of products has positioned on the stands to show which sorts of products are available in the store. Just behind the product exhibiting stand, doors of pertinent product division is standing to give you access to that particular department to explore the related products of the category. Besides from the principal or side menu, you can tap on the link to the image of a product category to go to see product category page. When you go into one of the divisions of the brick store, you might find well-positioned cupboards of cabinet arrangement to show a wide range of countless products either appropriate into the compartments/boxes of their sub-categories or displaying in the individual section of the unique products. The similar experiences or visions you can get when you access the individual category pages or sub-pages. Product images are showing in boxed or unboxed designs and set logically either in sub-categories or lead to different product pages. Each sub-category has original content, and each product image has a title explaining itself just like a chief salesperson is saying something about the products and product categories in a few words. In the real world, vendors handover individual products to the consumers and allow them to feel, inspect, and ask anything about the items shown in front of the product cupboard or a massive case. In the same way, on the product website, the product web pages have product images obtained from the different angles of the product. Zoom-in features allow shoppers to check the product image qualities thoroughly such as color, styles, contrast, design, and so many things we can envisage. Product titles and small to long product descriptions are showing everything that the sales persons can describe you about the product in the real-world brick store. In the real shop, when you want to buy an item, you took it in your hands and kept in the shopping cart. You can sum the items you have included in the cart and can use a calculator on your smartphone to calculate whether the overall cost of things is coming within your budget or not. The similar features and functionality have approved by the shopping cart feature of your eCommerce website. Mini module/icon of the shopping cart showing at the top of each web page or product page is displaying the numbers of products you have included in your virtual shopping cart or trolley. Some cutting-edge shopping cart icons also provide you a list of the names of items included, prices of the products, and the overall amount of all things in your virtual shopping cart through a small pop-up. Once your shopping in the actual store is finishing and you have included necessary items in a shopping cart, you might take it to the POS desk. At the desk, cashiers will check the full items separately. 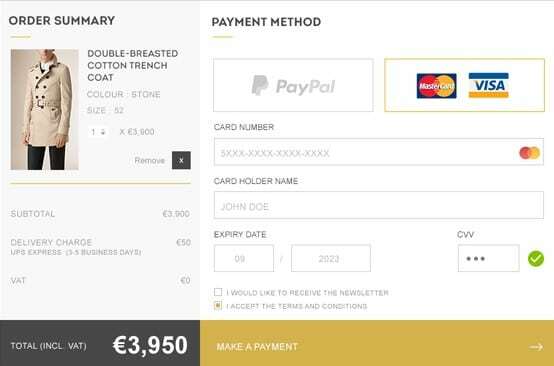 They make an invoice to provide you to acknowledge what amount you have to pay for those bought items. Now, you either hand over the money or use your debit/credit card from the wallet and obtain payment procedure. After checkout, you take all the items in bags or packing suitable for you and then leave the brick store pleasurably. Every so often, the payment desk may offer you a discount, gifts, coupons, or vouchers to exchange those on your next visit to the same store or their chains of stores anyplace. On your eCommerce website of corporate website design services or any others, you have to achieve the entire task throughout the checkout process. Check out page or pages need your contact info, shipping address, and card or bank info for payment process. Payment modes are safely accepting payment and produce receipts according to your invoices. The significant difference between real-world shopping and virtual shopping seems here is delivery. You cannot take the products/items with you until those are digital and downloadable. You have to wait for the delivery for days to weeks and seek the assistance of a tracking feature to check the status of your shipment. These entire things belong to trust factors required for online shopping and faith always comes with excellent professionalism. The professionalism appears with the professional website services, and it is the platform where web design matters more than content. With numerous photos as well as allowing you to zoom in or out the product images, you can visually feel the product, but lacking real-life touch experiences. Videos can reveal your products and acknowledge how to use it, but cannot deliver products to test it. Enhanced Reality or Virtual Reality software integration might allow your virtual Avatar to wear the dress and check fitting, styles, and designs, but not your actual body. To setup strong faith among the online buyers, you have to depend on the website design, designs, features, and functionality you have given. It would help if you took the assistance of ratings and reviews of products to build trust exact from the start of the shopping ride of your site visitors. 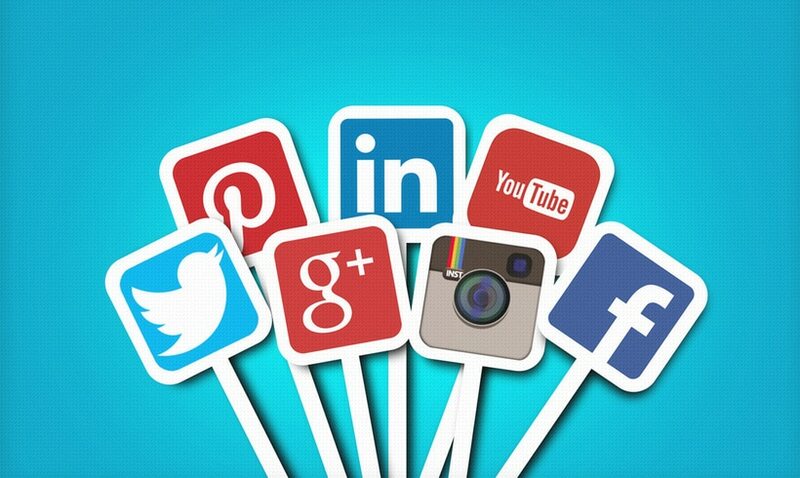 Some further determinations on social media networking sites might prize you prominently, and you have to incorporate social media icons on each page and each vital mode of the customer’s journey. These all trust factors come with design measures and hardly from the content side. You have to create content for privacy policies, terms & condition page, and About Us page to include spices of trust and knowledge about your online project. Just like the real-life brick store, your website always needs a business logo to show all over the place it required. 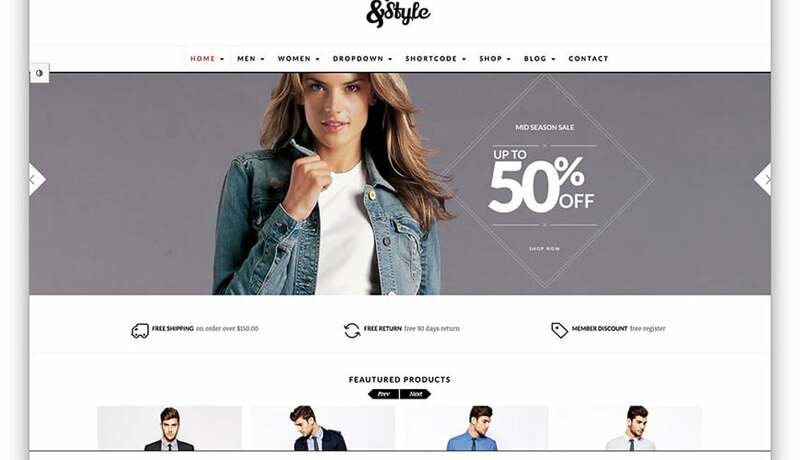 You have to look at the theme of design components, fonts, colors, styles, and blueprints to follow to instill professionalism in your online business store, just like you beautify your brick store and use color, style, and design themes. If you have selected website designers from a reputed custom web design company or a professional web design company in India with cheap website design price in India or any other countries, they can quickly eliminate all above described malfunctions and errors from your custom website design. Therefore, you can win the skirmish easily in this aggressively competitive online market. The internet has entirely transformed how consumers purchase products from companies. With the amount of content available worldwide, people aren’t resolving what’s available. With just a few minutes more of investigating, someone can find a new website and another company with which he or she can do business. However, being found isn’t the endgame—making a sale is. When there is a new visitor on your website, you have to clutch his or her attention to transforming traffic into leads. Unique content is an imperative adaptable to drawing in traffic; however, if the user experience is worthless, annoying, or just plain out-of-the-track—he or she will leave and never come back. When building your website, you should consider about your consumer. By creating a user experience all over these questions, you’re almost guaranteed to grasp on to your potential lead’s valuable consideration. The best is to hire a reliable among the top 10 web design companies; that will help you out to get a well-designed website. People will first find you online and evaluate your business from this first impression. A survey exposed that 46 percent of people said a website’s design was their top-rated flexible on whether a site or not—and by extension, the web design company in the USA or any other country —might be trusted. Furthermore, 48 percent of mobile users contemplate a site is not optimized for mobile viewing to mean that the respective web design company doesn’t care about their requirements. With your rival just a few clicks away, these visitors are more tend to move there. It would help if you optimized your website for mobile. 62% of companies that optimized their websites for viewing on mobile devices found their sales augmented. Your website is a center where all your would-be patrons are directed through your digital networks. It’s also the home for all that worthwhile content on which you spent time and resources creating. An ideal website design, both in aesthetics and user experience, doesn’t work at cross determinations to your content’s goal: transforming visitors into leads. It brings the user experience all-in-one and pleasing. Thus, it is necessary to hire the professional website designers available at a reputed custom website design company to get your website designed and optimized effectively. Is your website reachable to visitors with low or reduced vision? Are your videos close captioned for the difficulty of hearing? If somebody cannot utilize your site, he or she will move to a competitor with an accessible website. These are many groups of prospective consumers you might be lost out on because they couldn’t utilize your site. In the digital ear, it’s vital for you to consider the user experience when building your website. That website will tell how a visitor deliberates you. If it’s slow to load, if you did not optimize it for the devices visitors are using, or if it’s unreachable for your visitors’ needs or abilities, you’re not just moving away prospective consumers—you’re moving away goodwill towards your company. With this extended clarifying content, we have shown how your website can simulate the real world shopping experiences if designed it with professional methodologies and with the help of a professional eCommerce website design company in India and developers of an affordable website design company of your or any other country. Content comes after the design if written by professional content writers. Thus, at a professional website creation company, you can choose to weight similarly on design. Also, it would help if we considered the content when we want to achieve real online success for our clients who are only depending on our web design services for small business.